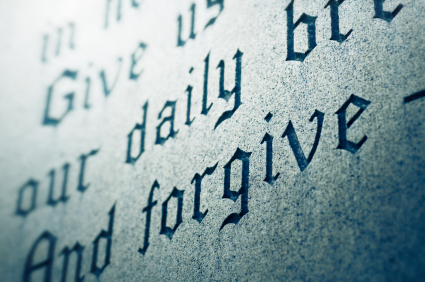 “Please, forgive me.” What makes those three of the hardest words in the English language to put together and say? When it comes to marriage, children, work, or just any old relationships those words don’t come easy. Do I dare type that it almost seems impossible sometimes to let those words sneak through the lips. I think I know a reason. At least I know for me. When I have to say, “Please forgive me,” I have to admit I am wrong. There I typed it. It is hard to say because it is difficult to admit an error. There is no fun in being wrong. Embarrassment lives in the neighborhood of being wrong. When you are the dad you aren’t supposed to be wrong. When you are the boss doesn’t it show weakness in your leadership if you are wrong? I can’t think of many instances where I like to be on this end of forgiveness. Even when I bold face know I am wrong. The only problem with not gathering the courage to know and admit I am wrong is the aftermath. Yes, the problem with not going there is the damage to just about every relationship. In the Right to Ruin, I refer to this tendency to destroy while grabbing your right to be right. I admitted to my friend Beaver Brooks a failure with my son. I knew I must ask to be forgiven. Beaver replied, “Now you get to teach him what it means to be a man.” He was referring to my obligation as a man, a Christian, and father to do what is right. To ask my son to forgive me for my relational error. Of course, Beaver was right. Asking for forgiveness gives the opportunity to repair relational tears. It shouldn’t be a surprise, but I have seen more benefit from those three words than negative outcomes. It is not a guarantee of restoration, but I have never seen skipping “the ask”restore relational breaches. How are you at uttering those words, “Please forgive me”? How has asking to be forgiving benefited your relationships? On occasion, I am asked about the start of my public speaking. It was long ago. I have to give a bit of background to set the stage. I am originally from Southern Illinois. While heading to second grade, my parents moved me to the deep south, Brunswick, Georgia. Upon moving, I found out quickly from the natives that I was a Yankee Carpet Bagger. Heartbroken and disappointed to be the enemy of the South, I wondered how I would ever make new friends in Mrs. Littlefield’s second grade class. In my second grade brain, I figured out how to bridge the War of Northern Aggression Gap. Mrs. Littlefield set up Show and Tell sessions for the last of the day. I knew this, my first public speaking event, was my avenue to acceptance and new appreciation with my Rebel classmates. Unfortunately, a combination of embarrassment to ask a new teacher and the excitement of this once in a lifetime opportunity put me in the position where I should have gone to the restroom. I did not. Well you probably guessed it. Moments into my first motivational speech, it was interrupted by bodily fluid easing down and warming my leg while wetting my uniform pants. Mrs. Littlefield responded in horror, as my face reflected that look of relief that is often found on a male face when standing in front of a urinal. Sorry girls you just wouldn’t know about this. As the class erupted in laughter, Mrs. Littlefield, whisked me away to the restroom and then to the office. Although wet and humiliated I sat patiently in the office as the staff, to no avail, attempted to reach my parents. Long before the era of the cell phone, they were forced to load me on the bus for my ride to public humiliation, oh, and home. Of course, my interrupted oration had already become the talk of the school. To find me tenderly seated in the front of the bus made for a lively personal catastrophe. Not only did the entire second grade know and communicate my unlikable position, but now every student on bus four joined in the party of torment. I made it home, and I don’t remember even telling my parents what happened. Fortunately with a public speaking start like that it could only get better. For the most part it has. I guess the resilience of youth paved the way for a brighter and more comfortable oratory future. 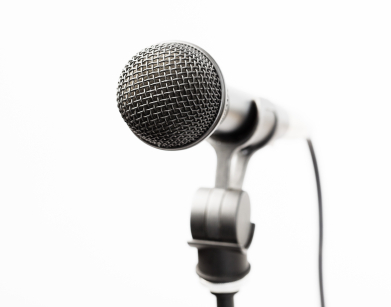 When was your first public speaking event? Have you ever had quite so special a moment? In my work I see many broken relationships. Sometimes severed relationships are a result of being right. I sat in front of a father who was upset about his son’s decisions to do things of which he disapproved. Sometimes parents, in these cases, have the right to be upset. Many times it is their insistence on being right that perpetuates th e conflict. Either way, their desire to be right usually has a consistent outcome: damaging or losing the relationship. As a result of this trend, I often communicate with hurting family members that they have a choice. They can be absolutely right and lose their relationship, or they can surrender their right to be right and have the ability to speak into the relationship. Regrettably, I have seen people choose being right over the hope of keeping the relationship. It is their right to ruin. Relinquishing their claim to be right could have made all the difference. Amazingly they choose to lose their relationship. Feet are dug in the ground on their hill to die. Their opponent in the relational stand off firmly digs their feet in the ground for their position. The war is on. Relationships are about to suffer. The father I mentioned fought me on this concept. He just knew he was right and thought giving up his deeply entrenched position was an ungodly compromise. It is amazing to see this happen. In the midst of knowing they might mortally wound a relationship, they often will choose being right and consequently lose any opportunity for change or influence in the child’s life. Often I make the point that the current method is not working and has only led to strife. Maybe a different plan should be given a shot. This father decided to risk it for one week to see what would happen. He laid down his right to be right. 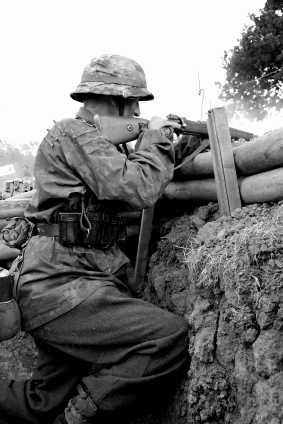 He came out of his foxhole. If it were a gun fight he would have laid down his weapon. Much to his surprise, once he laid down his right to be right, his son did the same. After several visits together, they were respectfully talking together. They didn’t disregard their difference but are now talking them through. This pair is even looking for solutions together. The father is now speaking into the son’s life, not demanding his rightness. His right to ruin has been transformed into the reward of a restored relationship. In my own relationships, I have had this challenge come up. Shamefully I can point to places over the years where I was right and allowed it to ruin a relationship. Even after discovering it and asking for forgiveness there has still been some raw wounds left behind. I hope I am in a place in my life where I will surrender my right to be right and instead of ruin choose to restore. Have you ever observed this phenomenon in relationships? 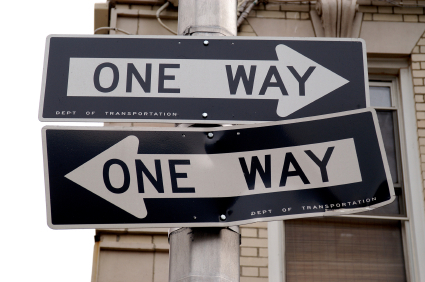 How have you dealt with seemingly irreconcilable conflict? Have you ever experienced the blessing of relinquishing your right to be right? Proclaiming Christ as the Lord of your life puts one in such a precarious place. The “Christian Life” becomes the perfect conundrum. The perfect life strife begins. Shall I list all the things that are supposed to now be perfect as a result of your position in Christ? Behavior, family, relationships (married, single, etc. ), children, work relations, attitude, yard, house, car, driving, exercise, prayer life, music, health, theology, eating habits, and finances just to name a few. Each of these should be done perfectly. It is not that you don’t want your life to be changed, but the expectations can be daunting. Of course, these expectations of perfection come from family, friends, enemies, church, coworkers, teachers, strangers, and the general public, just to name a few. Each of their opinions of your “Christian Life” is from their understanding of what your perfect “Christian Life” should look like. Are you feeling the strife? You can’t make too much money. To others you already make (and waste) too much money. How about you shouldn’t make any money? Or it could be you should make it and give it all away. Of course you better give it away to the right group. You see this perfect frustration? The 757,000 words of the Bible (English Standard Version) become a figurative mine field to be placed around you by those observing your “Christian Life”. Of course in making that spiritual assessment their interpretation can take many shades along the spectrum from accurate to completely off base. Who is to judge? Of course, there may even be multiple interpretations of the spiritual assessment of your perfect positioning. Fun, huh? What is a man or women of God to do in this seemingly hostile environment? Is there a safe zone for anyone seeking to live the “Christian Life”? In the midst of this perfect conundrum, how can a leader make it in this environment? Sound defeated? Well for me it is not defeated; it is gaining the proper position. I have always needed a Savior. Even though I have put my trust in Christ as a Savior, I will continue to always need a Savior. Of course, correct me if I am wrong. To be a father I need Him. To be a husband I need Him. To be a leader I need Him. You name it. I need Him. When I recognize my deep spiritual need for Him and attempt to please Him, well then I am heading in the right direction. When heading in the right direction and thinking I have perfectly arrived in my “Christian Life”. Well, that’s when I need Him the most. How do you handle the perfect life strife? Do you find yourself frustrated with these issues? In my last opportunity to speak with a youth group on relationships I used a definition of love that I picked up from Chip Ingram. 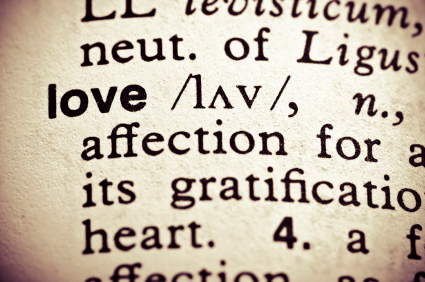 I know if you are like me you are recognizing this is an absolutely appropriate but a challenging definition of love. When lived out this is a phenomenal representation of selfless love. Can you imagine how marriages, families, churches, work environments, and communities would be changed if this definition of love became the norm? I don’t have my arms around that definition yet, but I sure do aspire towards it. I may have intentionally been there a few times and hit on it accidentally some more times. I just don’t live there like I would like. I want to make the choice to be there regularly in my relationships. My wife certainly has done this for me. I say done this for me, because I absolutely do recognize it as a choice. You don’t live out this definition of love without making a conscience effort. Maybe I should say I don’t live it out without making a choice. Then by nature I set myself up to need to receive this kind of love. I am grateful my wife has made the choice to love me when I least deserve it. What a great honor and privilege to receive her love in this way. I know I often put my children in a similar place where they must give what I don’t deserve. I don’t know about you, but I know why the Apostle Paul encourages dads not to exasperate or provoke their children to anger. (Ephesians 6:4) If most dads are like me it comes pretty natural. I have some innate skill in this area. Often when I have exasperated them most they have chosen to love me at my worst. I don’t deserve it. I am grateful this reckoning of undeserved love. Of course, the greatest example of this love is within the definition. Our loving Father sent His only son to die for us. We did not deserve it. We did not earn it. Yet, by His great grace we are happy recipients. I am grateful he gave me what I needed the most when I did not even know I needed it and definitely did not deserve it. When looking at Chip’s definition of love, how is your love life? Do you share my thoughts that this definition of love is a choice? What makes you believe your answer?